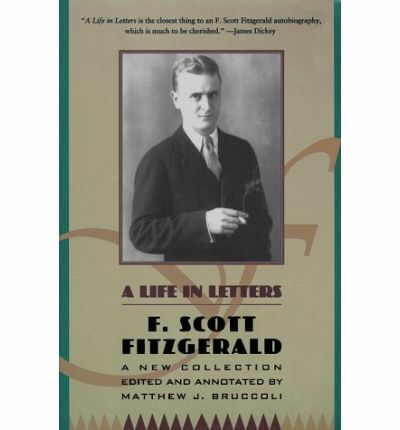 Letters of Note features this gem written by Fitzgerald to an aspiring writer and family friend who asked him for feedback on a story. 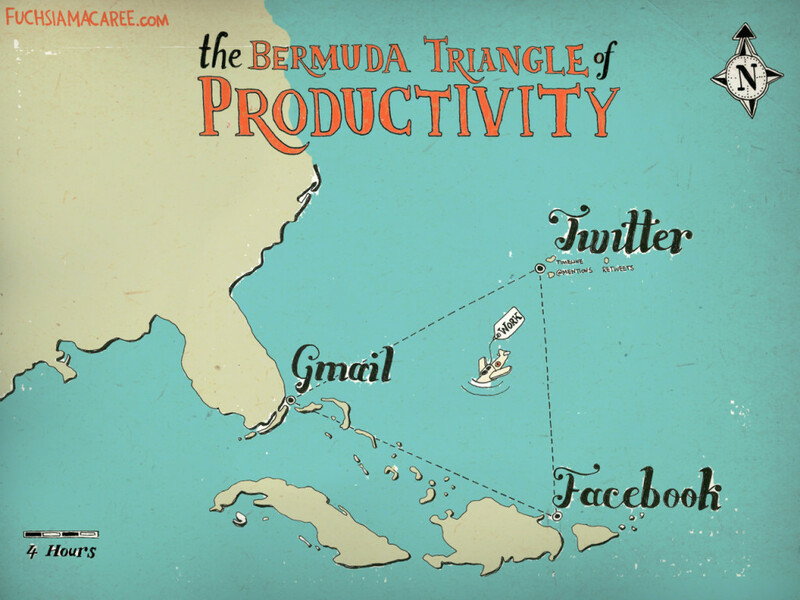 I navigated the Bemuda Triangle and returned victorious! Yes, there’ll almost certainly be another rewrite further down the line and, if I’m lucky enough to get a publishing deal, further edits and copy editing and all that, but right now I’m breathing a big sigh of relief. Now I can enjoy the fact that my kids are on summer holiday and hang out with them properly (rather than saying distractedly ‘in a minute’), read (yay! ), watch films and television, and say ‘remember me?’ to my husband. I may even go outside. Hurrah! Oh, and tomorrow I’m meeting up with my awesome family to watch the The Hitchhiker’s Guide to the Galaxy live with Neil-frakking-Gaiman. I’m also taking a little internet break. I’ll leave you with Ze Frank on finishing stuff. Hope you all have a great week! 1. These handmade leather wings from ThinkGeek are undeniably brilliant, but I think I like the customer warning even more: ‘Wings Do Not Enable User To Fly’. Heh. 2. I’ve just set this as my desktop background. 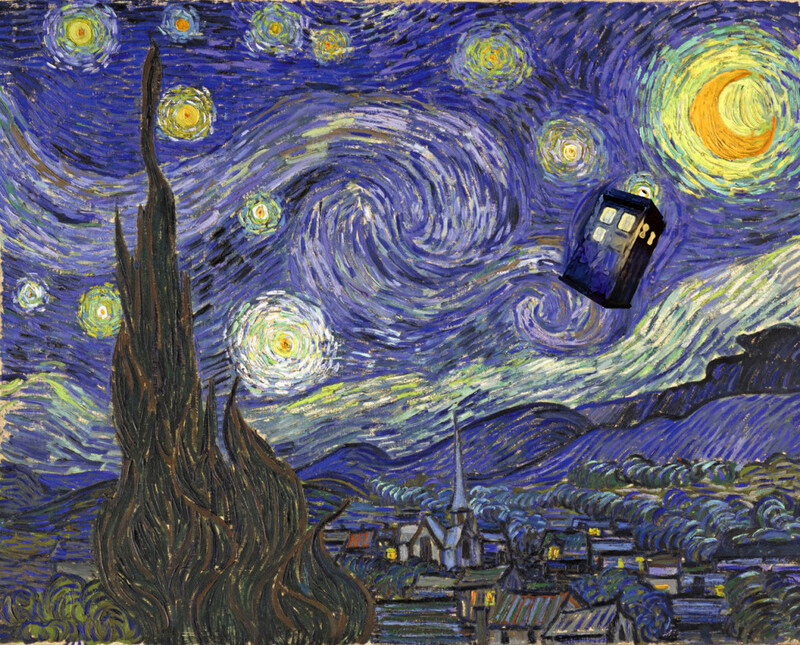 Van Gogh’s Starry Night with added TARDIS. 3. More Doctor Who; a preview for the next installment of is available here. Yay! 4. Word nerd? There’s a wealth of information on the meaning and origin of words and phrases over at Mark Forsyth’s (The Etymologicon) Inky Fool. 5. A great piece on writerly procrastination by Emma Darwin. Getting through the door in the wall. **And, yes. I’m aware it’s Monday. This is just the way I roll at the moment. Much as recycling is important, re-using stuff is even better. 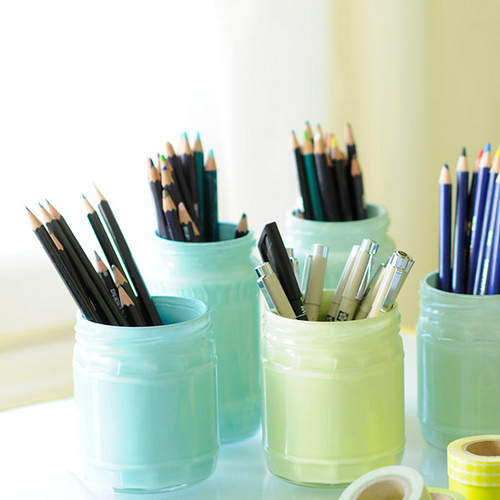 This tutorial shows you how to prettify glass jars with paint. I can see these on my desk or craft table and the ‘how to’ is simple enough to do with the kids. Win! 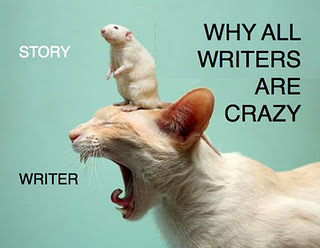 I’m still rewriting! I think it’s going well. I love some of the new scenes and, truly, it’s easier than writing first or second draft stuff because I know the characters so well. Except that every tiny thing I change has a knock-on effect. And I spend some sessions taking out – and then putting back in – the same couple of paragraphs. And the kids are on summer holiday and they actually expect me to, yanno, feed them and interact with them and go outside. And I’m constantly worried that I’m not doing this story justice. It’s all so good in my head. And the deadline is next week. Urp. Anyway. This is a whiny and rambling way of saying ‘still nothing to see here’. Sorry. Also, a big welcome and ‘thank you’ to my new readers and followers. Just when I think I couldn’t love Jennifer Crusie any more, she starts brainstorming for a new series of books (which sound amazing – meep!) with steampunk crochet. Steampunk crochet, people. Go check out her wonderful creations here and, if you’re inspired to make your own bunny slippers, head here for the pattern.